Prejudice always obscures the truth. 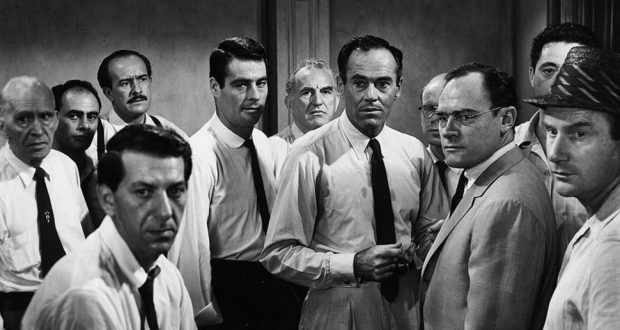 The original teleplay for 12 Angry Men by Reginald Rose (from which the stage production and the 1957 film, which is the subject of this piece, was made) was written over 60 years ago. And in that time, it hasn’t lost any of its punch. While the film lacks gender, racial, and sexual diversity, it still does a remarkable job of covering the major theme plaguing Western society at the moment: prejudice. Whether it is prejudice on racial discrimination grounds or class distinctions, the jurors tasked with deciding the fate of this young man must overcome their individual prejudices in order to make a just decision on the case. The legality of much of their discussion is questionable, with jurors disregarding witness testimony and bringing up issues that were not addressed in court, but some poetic license is forgivable. 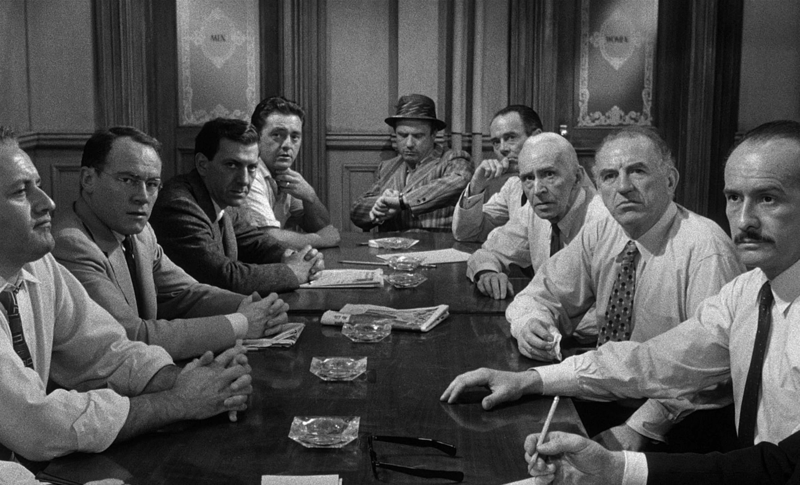 An early example of the locked room drama (a lampshade is thrown on this element when the jurors comment that they didn’t know they would be locked in the room), 12 Angry Men excels at driving up the barometric pressure throughout. The weather mirrors the experience of the jurors, being the hottest day of the year. As their debate continues, the heat is ramped up with a growing storm. The cinematographic choices that are made further add to the build-up of pressure in that small room. The camera remains within the confines of the room’s space, never taking wide-angle shots in order to replicate just how closed-in the jurors are. The camera follows the men as they pace through the room, zooms in on their faces when they are arguing, always emphasising the closeness of the environment. 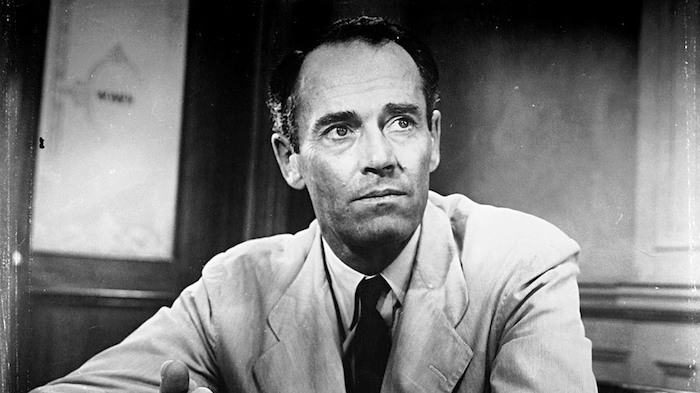 Something I miss in modern, technicolour cinematography is the limited use of shadows, something which works very well in 12 Angry Men. Another fantastic production choice is the lack of cinematic soundtrack. 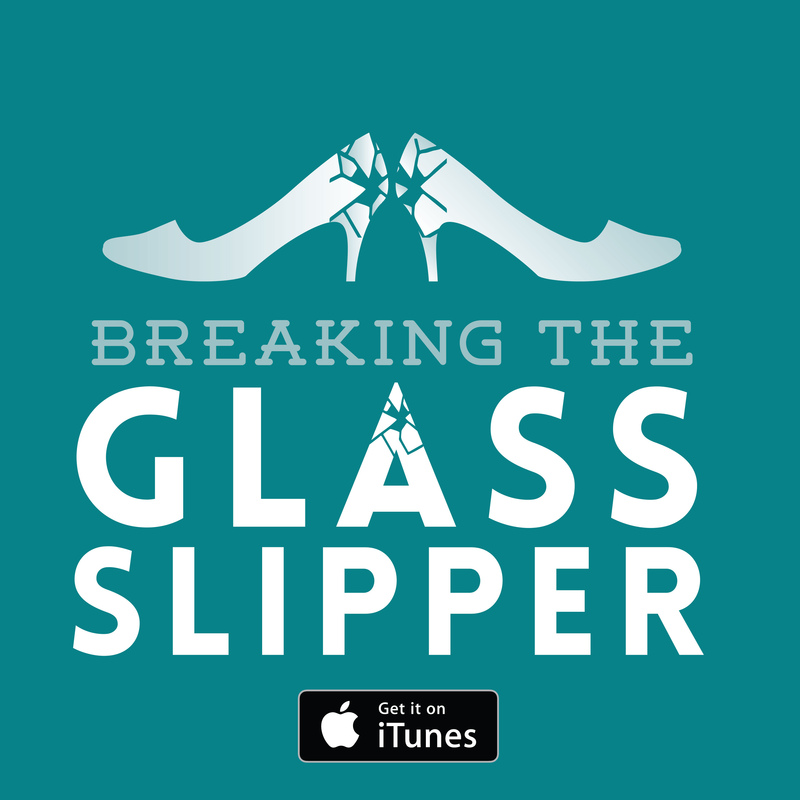 There’s no musical score that builds in line with the plot tension, there’s nothing but the sound of the men, their discussion, and the ambient noise of the room (the fan, the rain, the moving of chairs…). That absence of sound is far more effective at increasing the tension than any overblown orchestral piece could ever be. Whether our justice system really is just and fair is a question that we continue to live with. All of us have our own prejudices that we will struggle to leave outside the jury room, not to mention the issues of unequal legal representation for the poor (those that need excellent counsel the most are the least likely to have access to it). All kinds of bigotted ideas are presented throughout the course of the film, such as, ‘Slums are breeding grounds for criminals’, ‘They’re born liars’, and ‘these people are dangerous’. As one juror raises the issue of domestic violence, that the kid was beaten every day of his life, another retorts that with a ‘kid like that’ you’d have to beat him. On the whole, their discussions brought to bear just how incompetent the lawyers were. Many lesser films would struggle to pull off something which is extensively 90 minutes of straight dialogue. But each character has something going on below the surface, the tension is palpable, and the accused’s potential death penalty all loom over the chatter to create a film that is truly arresting. 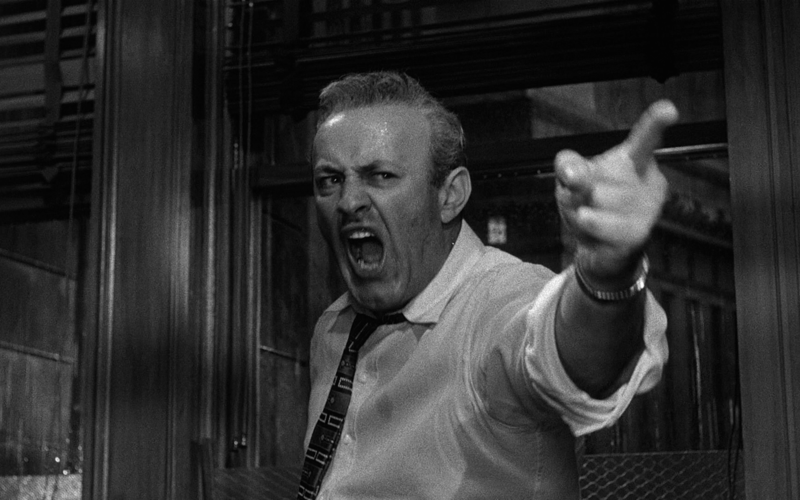 Time only makes 12 Angry Men more powerful.